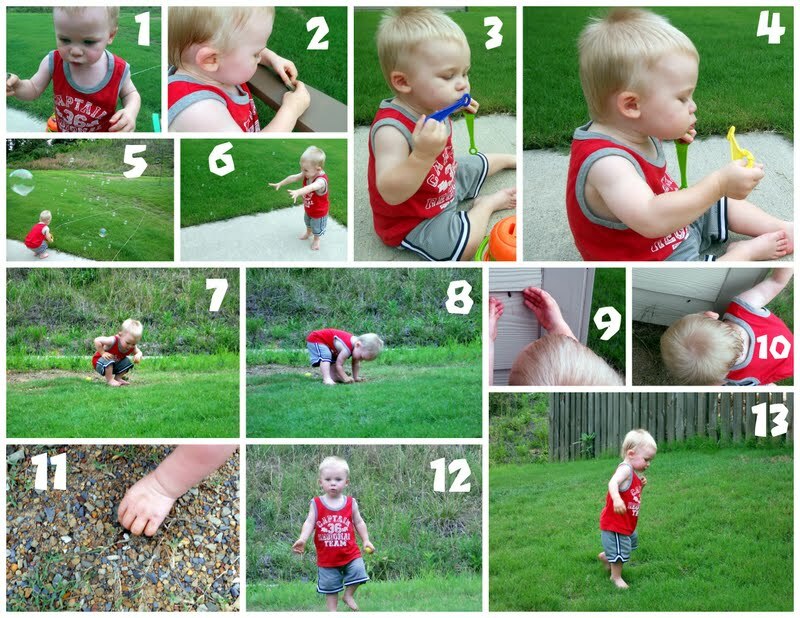 A whole crazy hour of playtime outside after dinner, led to digging for rock, bubbles, and stinkbugs! 3. Blowing bubbles! I really wish I got a picture of the bubble he blew. It was great! 4. Try again for, Mama! 6. He is trying to catch them, but he look more like a wizard :) Harry Potter fan, can you tell? 7. Searching for more rocks. 8. Trying to dig a big one out, I think. 9. Trying to catch a stinkbug. Lovely. 10. Andy got really close to him and said, "Ew." 12. He wants me to come and help.